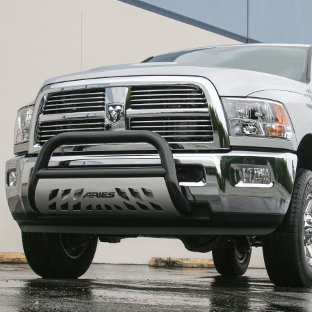 Give your vehicle an aggressive attitude with an ARIES 3" bull bar. 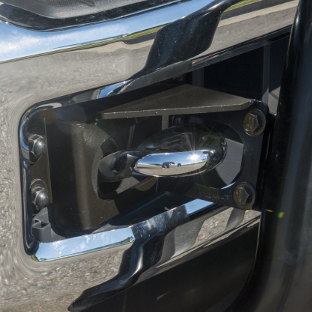 They feature a vehicle-specific design and an easy, no-drill installation on all vehicle applications. ARIES bull bars also come with integrated LED light mounts along the crossbar and a removable skid plate for easy customization. 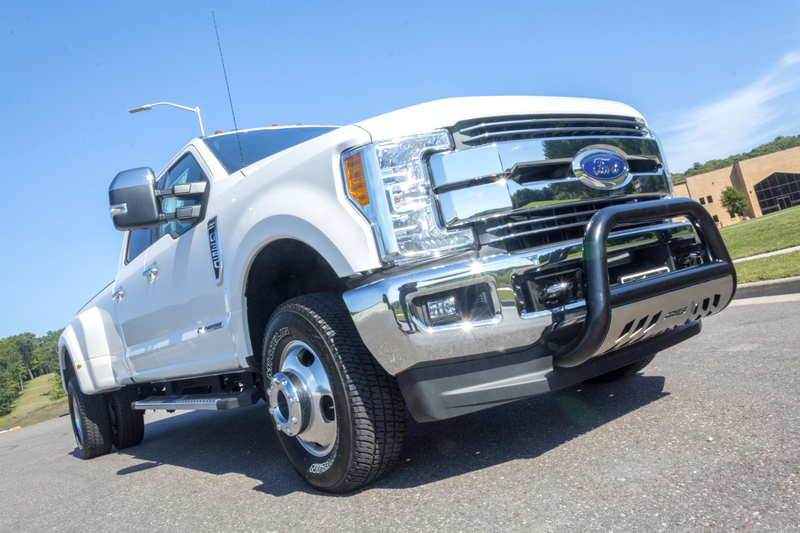 ARIES 3" bull bars are available for hundreds of application, including many older trucks, and we offer four different finish options to perfectly suit your preferences and lifestyle. 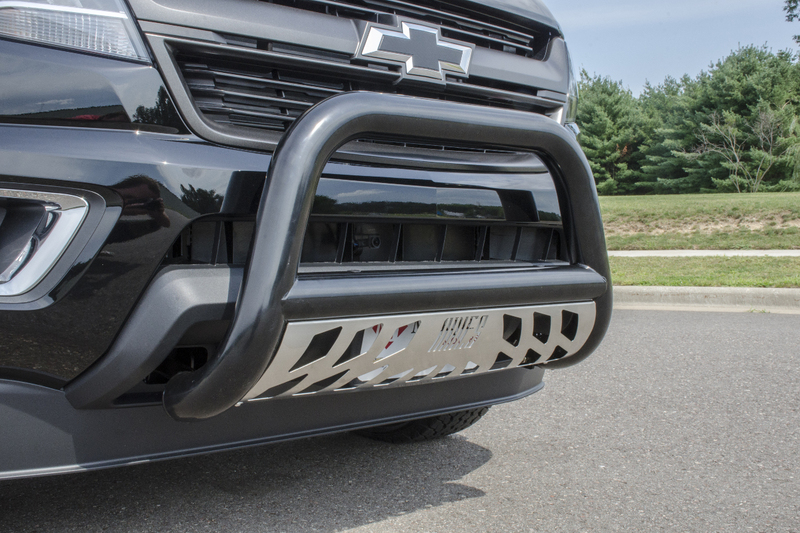 For a dependable black finish alternative to the look of polished stainless steel, the ARIES Stealth™ bull bar is constructed with a highly resilient combination of black powder coat over stainless steel. Every ARIES bull bar installs with no drilling required. 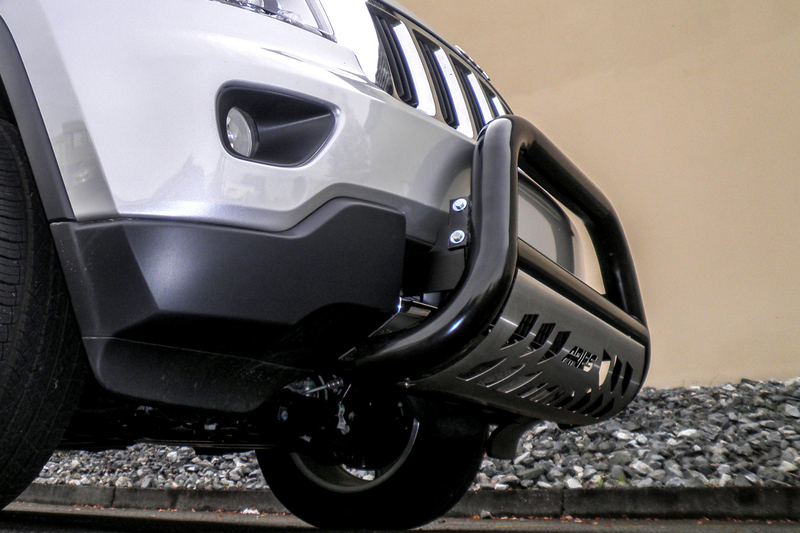 We design our bull bars for trucks, Jeeps and SUVs with a vehicle-specific fit for an easy installation, seamless integration and maximize rigidity. For immediate customization and added functionality, ARIES bull bars for trucks, Jeeps and SUVs come with integrated LED light mounts. 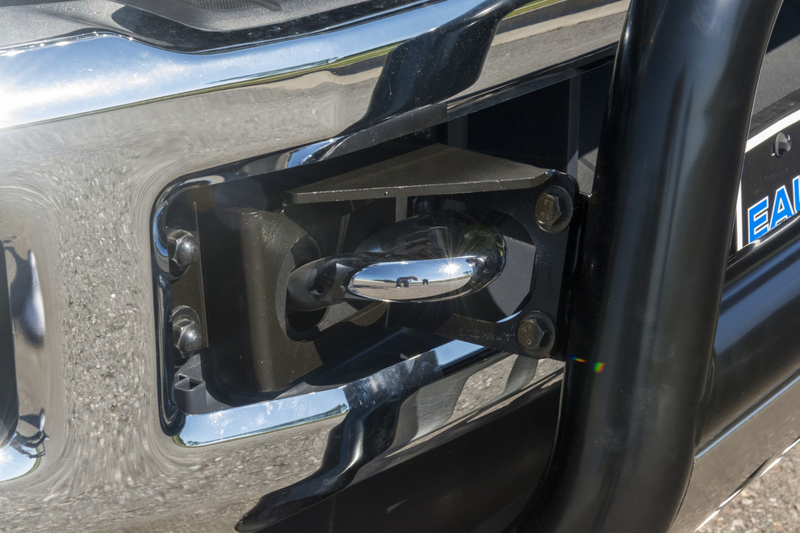 The crossbar of each bull bar is pre-drilled with two holes, allowing you to easily mount the LED light of your choice. 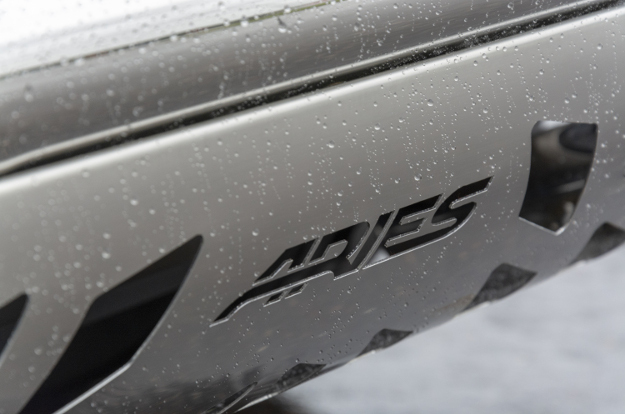 ARIES offers LED work lights and light bars that readily mount onto the bull bar crossbar. To mount an LED light bar, we offer base-mount light bar brackets that bolt into place and provide a versatile mounting point. ARIES polished stainless steel bull bars are made from 304 stainless to be highly corrosion-resistant. They come with a triple-polished finish for a mirror-like shine. 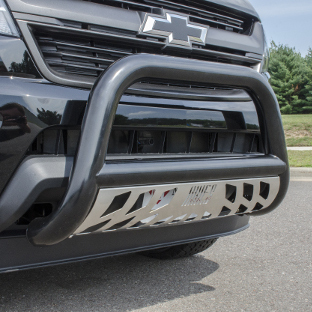 Our semi-gloss black steel bull bars offer enhanced strength with carbon steel construction. They are finished with a combination E-coat and semi-gloss black powder-coat finish for excellent rust resistance. 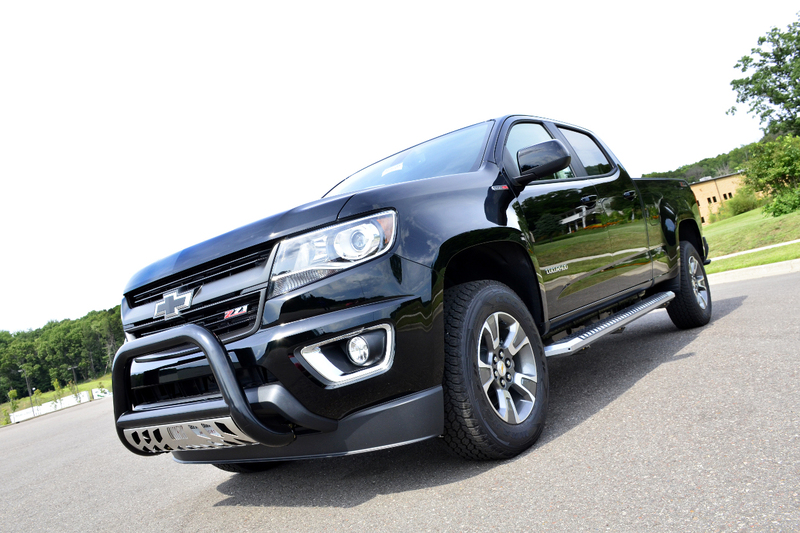 We also offer two specialized finish options -- our Stealth™ bull bars and Pro Series™ bull bars -- each with their own unique, material, finish and benefits. Note: Not all finishes may be available for every vehicle application. Unlike most bull bars with a black finish, the Stealth™ bull bar is made with rust-resistant stainless steel instead of carbon steel. 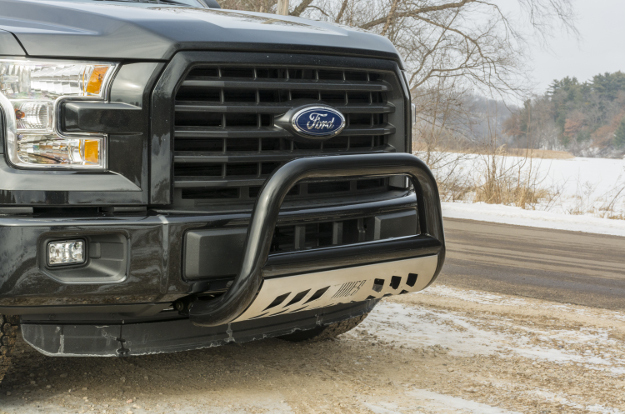 Combined with its high-gloss black powder coat finish, the Stealth™ bull bar is equipped for maximum corrosion resistance against rain, snow, mud, road salt and changing temperatures. 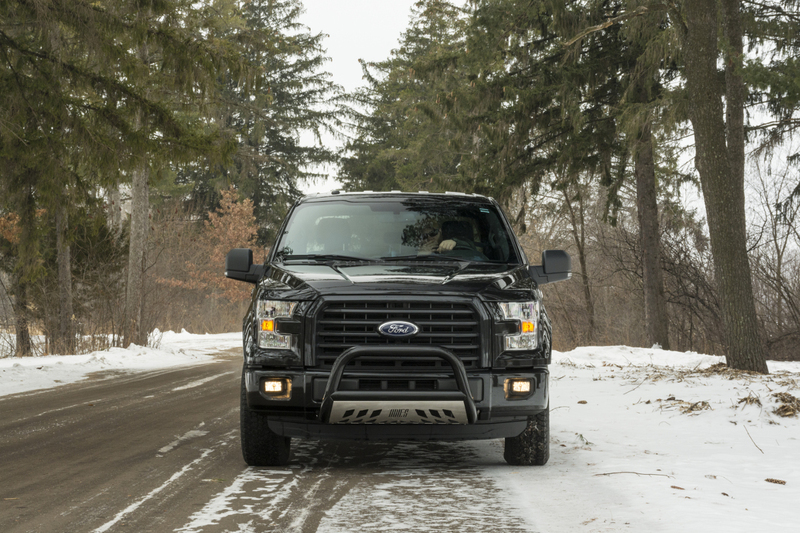 Stealth™ is the perfect bull bar for trucks in cold climates. To prove it can endure whatever winter has in store, we also put it through a rigorous salt spray test. This allows it to be a reliable option, as an alternative to polished stainless steel, for those who prefer the look of a black finish. 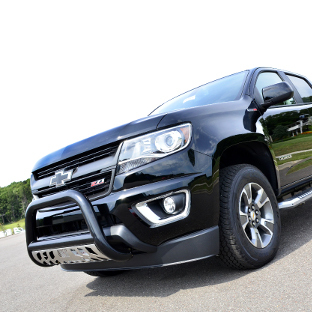 If you enjoy taking your truck offroad, our Pro Series™ bull bar provides a unique advantage. It is constructed from high-strength carbon steel and comes with a durable E-coat and textured black powder coat finish to resist the elements. 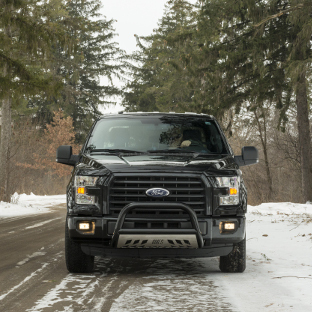 Pro Series™ is unique from other black bull bars because of its textured surface. The highly textured finish actually helps hide minor scuffs, scratches and grime accumulated on the trail, promoting a clean, consistent look on your offroad ride. 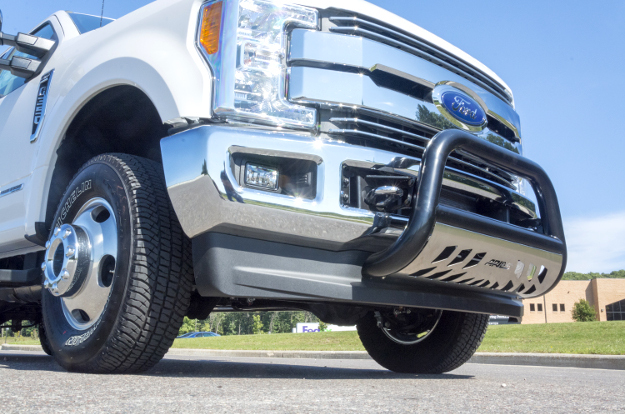 To help protect your vehicle from costly nicks, scratches and scuffs from flyaway road debris, ARIES 3" bull bars come with an integrated skid plate. The skid plate features a unique ARIES cutout pattern for aggressive style, and it is constructed from 304 stainless steel to be highly resistant to corrosion. The bull bar skid plate is completed with brushed stainless steel finish, helping to hide the inevitable scuffs and scratches to maintain a clean finish. The skid plate is also removable for easy replacement or if you prefer the look without it. Like virtually all ARIES Jeep and truck accessories, our 3" bull bars install with no drilling required. They also require no difficult vehicle modifications. 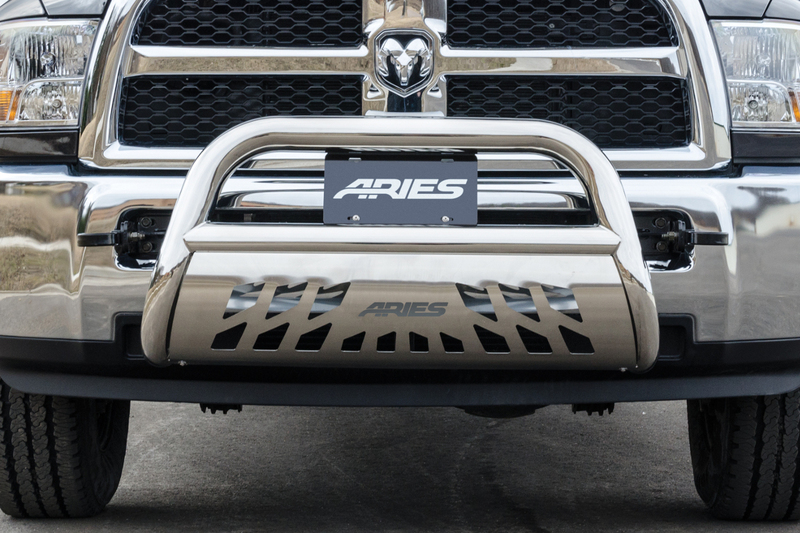 With each ARIES bull bar, you get an exact fit for your truck or Jeep, featuring vehicle-specific mounting holes and a vehicle-specific bend in the bull bar. 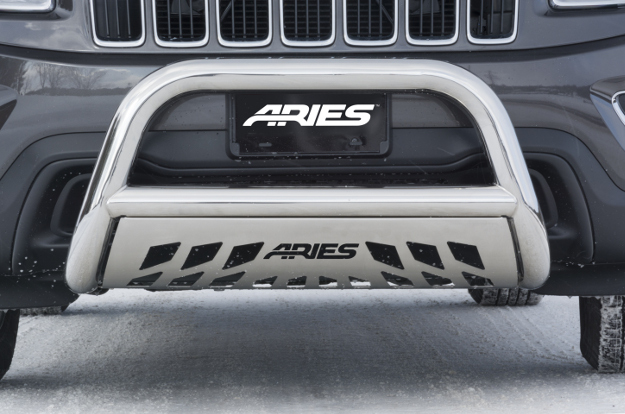 ARIES bull bars are designed for factory-like integration with your truck, Jeep, SUV or crossover for aftermarket style with an original equipment feel. 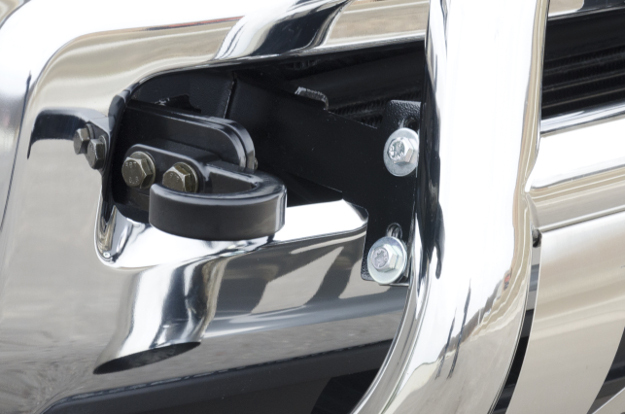 Each bull bar comes with all necessary mounting hardware to complete the installation. 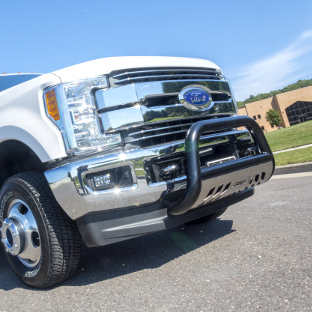 For a rigid design and extra front-end strength, all four material / finish options of ARIES 3" bull bars are constructed using heavy-wall tubing. The tubes feature a 3" diameter for a sleek, bold accent on your vehicle, and the heavy-wall build offers enhanced structural support. 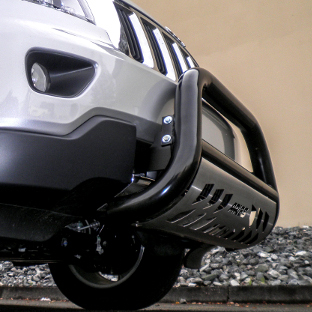 Each bull bar also features mandrel-bent tubes to ensure a smooth contour, and the crossbar is welded into place to further boost overall strength. 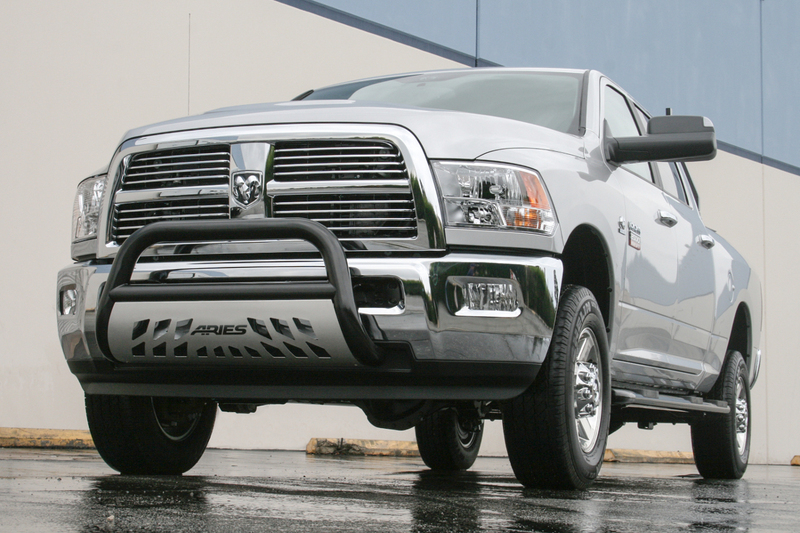 Many ARIES bull bars for trucks are designed to install alongside the factory tow hooks. For certain applications, namely Ram 2500 and 3500 trucks, the factory tow hooks must be removed. As such, we offer replacement tow hooks #35-5TOW. 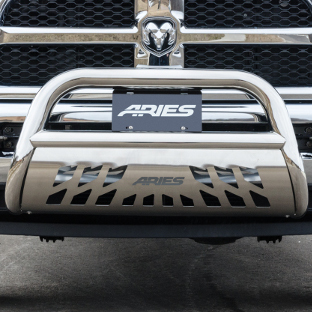 ARIES Ram 2500 / 3500 tow hooks install together with the ARIES bull bar brackets on select Ram models, securely bolting into place and providing a tested load capacity of up to 10,000 lbs. 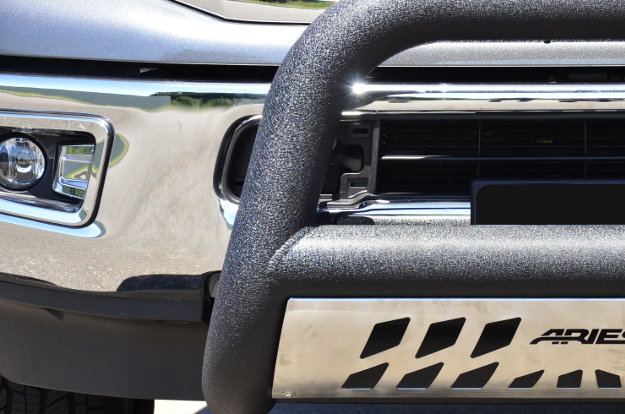 This allow you to customize the look of your truck without sacrificing its functionality.